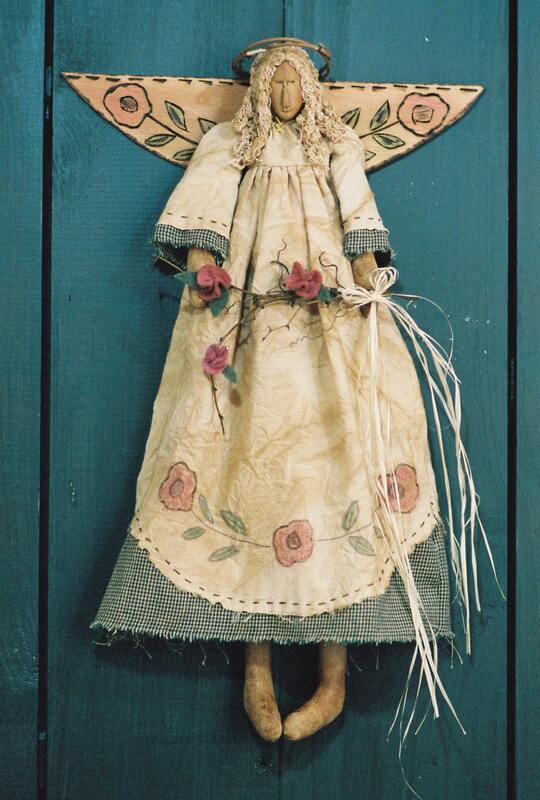 18" Long Wall Hanging Victorian-Country Angel. Doll body is muslin done with a staining technique. Face is needle sculpted. Her wings are made of Balsa Wood. Hair is made from unraveled Monks cloth. Flowers on dress and wings are done with colored pencils. Makes a beautiful décor piece. PDF download comes with easy to follow instructions, doll and clothing patterns and complete suggested materials list. Finished dolls made by you personally which may be sold on the internet and at local craft shows. I love all things Victorian and I'm so looking forward to making this angel.